Continued growth predicted for online retail sales in Eastern Europe, says report. 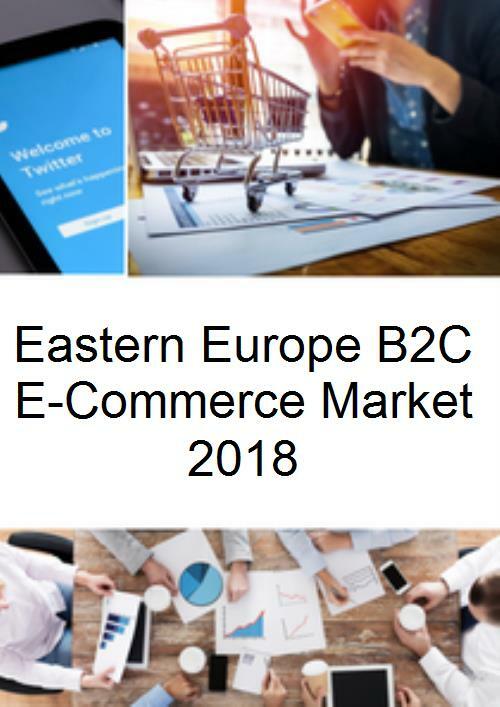 The new report, “Eastern Europe B2C E-Commerce Market 2018,” indicates that online retail penetration figures, which currently are below the average of other European nations, have a huge growth potential as Internet connectivity and online shopper numbers increase. Another trend propelling the growth of B2C E-Commerce in Eastern Europe is cross-border shopping. A large portion the recent increase in online purchases in Russia, the region’s online sales leader, is attributed to shoppers turning to merchants outside the country, particularly China. China’s AliExpress is also growing in popularity in the Czech Republic, Poland and Ukraine, though shoppers in those countries continue to patronize local online merchants more than AliExpress, as detailed in the report. What was Eastern Europe’s share of global B2C E-Commerce sales in 2017? Eastern Europe has one of the smallest online retail markets among the global regions in 2017, but is projected to see growth through 2018 and beyond. Currently accounting for less than 5% of the region’s overall retail sales, B2C E-Commerce revenues in Eastern Europe are spurred by market trends such as M-Commerce, social and cross-border online shopping, as the report shows. Of the three top economies of the region, only Poland managed to reach past the 5% threshold in terms of E-Commerce’s share of retail sales in 2017. Still, even in this nation the Internet and online shopper penetration rates are below the EU averages, indicating further untapped potential. In Russia, B2C E-Commerce sales are the largest of all Eastern European nations in 2018, but an increasing share of these is going to foreign online merchants, most of all Chinese, according to data cited in the report. In the Czech Republic, Poland and Ukraine the awareness of China-based AliExpress is also growing, although unlike in Russia, local E-Commerce competitors in these three countries continue to top AliExpress in website popularity. Market evidence from Turkey highlights two other major trends in Eastern Europe’s B2C E-Commerce. These include mobile and social commerce. More than 50% of online shoppers in this country make purchases through smartphones and close to that number also place orders through social media platforms such as Facebook and Instagram.